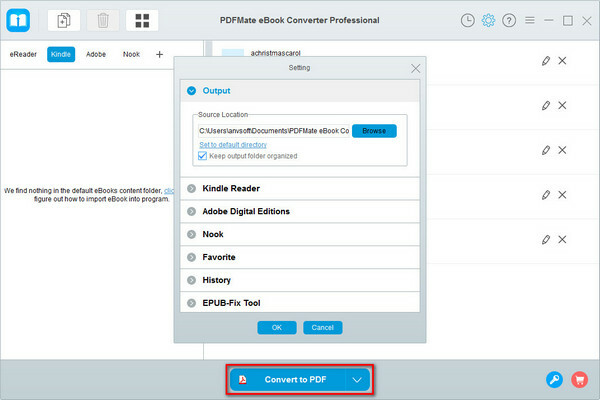 PDFMate eBook Converter, the most powerful eBook DRM removal tool, is specially designed for users to remove DRM from Kindle, Adobe, Kobo & Nook eBooks easily and effortlessley. In addition, it supports converting a massive amount of ebooks in a short time to the format (including EPUB, Mobi, PDF, AZW, TXT and KFX) that suits your devices in batch. 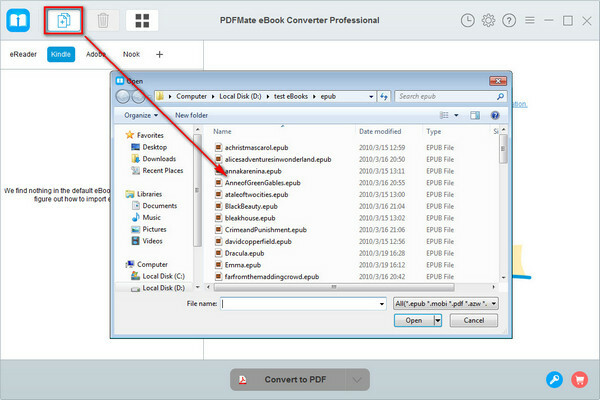 How to Use PDFMate eBook Converter Professional? 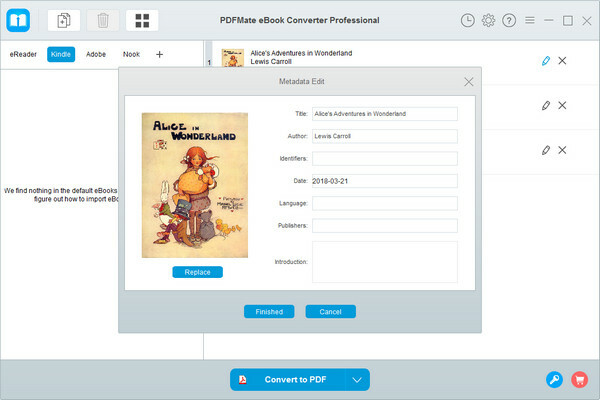 Launch PDFMate eBook Converter. Click "Add" button on the upper left to upload your eBooks to the program; Or you can just connect your eReader to the computer, the program will automatically detect it and display all your ebook files. After successfully adding the eBook files to the program, by clicking the "Pen" icon on the upper right, you can edit all the important and useful meta information before conversion, including title, author, publishing date, publisher and so on. Click the "Settings" button on the upper right. There will be a pop-up window which allows you to customize the output path as well as set Source Location of your eBooks. 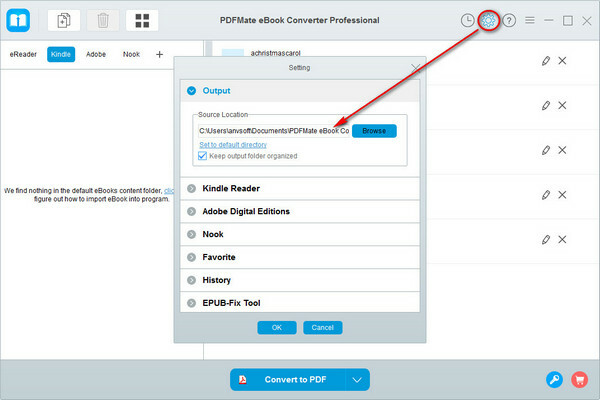 Click button "Convert" on the bottom, PDFMate eBook Converter will soon begin the conversion. Once the conversion is completed, you can find your converted eBooks by clicking the "History" button on the upper right.